Michael O’Mara Books is to publish an expert advice guide for men’s mental health, in association with the mental health charity Mind, ahead of Mental Health Awareness Week. 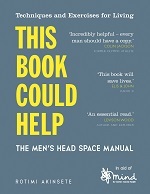 This Book Could Help: The Men’s Head Space Manual – Techniques and Exercises for Living by Rotimi Akinsete, a therapeutic counsellor and Director of Wellbeing at the University of Surrey, will publish on 2 May 2019. According to Michael O’Mara: 'Offering straightforward, practical advice to help you prioritise yourself, meet challenges, manage stress and think about your work and life goals, the book aims to encourage men to take care of their mental health and wellbeing while discovering new strengths. 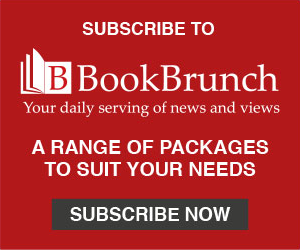 Fiona Slater, deputy editorial director at Michael O’Mara Books, said: "Your body needs maintaining to keep it healthy, and so does your mind. It sounds simple but there are many tired and unhelpful ideas out there that tell men how they ought to be, so this vital message gets lost. "The results speak for themselves: suicide is the biggest killer of men under forty-five. Taking care of your head space should be as normal as eating your five-a-day or going to the gym." Rotimi Akinsete said: "The idea that men should 'man up' and not talk about their mental health or concerns is now deeply outdated - it’s about time that we feel comfortable talking about our problems and concerns, in a way that could end up saving lives. This book is for everyone, whether you’re currently struggling with a mental health problem or not, to help and encourage men to think differently about their mental health." Kathleen Miles, director of fundraising at Mind, said: "We’re pleased to be partnering with Michael O’Mara Books to publish such an important manual. We know that men can find it particularly difficult to speak about their experiences of mental health problems and seek support if they need it. This book offers information and practical advice so men can gain a better understanding of mental health and practice some useful self-care techniques. "The money raised through sales of this book will also fund Mind’s vital work including the Mind Infoline, our advice services and the campaigning Mind does to secure a better deal for the one in four of us who experience a mental health problem every year." World All Language rights were acquired by Fiona Slater in a direct deal with Mind. All author royalties from the sale of the book will be donated to Mind.